In the 70s I was forced-fed the Star Trek re-runs as a child, and I probably saw the entire series, though I don;t remember much of it. In fact, I was never really a big fan of the series at all and I’m still not, and when gien the chance to choose between Twilight Zone and Star Trek as a kid Star Trek never won. But it was unavoidable, but rather than enjoying the characters and plots—I was much more into the transporters, communicators, and laser guns. And the Starship Enterprise flight deck toy was a work of design genius in this regard. The whole box frame was brilliant, and the spinning transporting room which hid your figures was a perfect touch. Moreover, the moveable screen that simulated flight blew me away as a kid. Unlike the Halls of Justice for the DC Supershero figures, the Enterprise was worth the $20.00 at the time, which was a small fortune. This entry was posted in 1102xmaS and tagged 1102xmaS, Star Triek, toys, Xms. Bookmark the permalink. Phasers, Jim. Not laser guns! Damn, I’m jealous of this. When I was a kid (a huge Star Trek dweeb, I might add), I had figurines of the whole crew, as well as the Enterprise herself in one or two different sizes, but this bridge setup looks dope-on-a-rope. 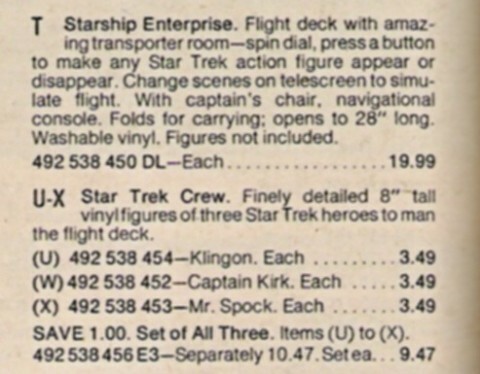 I also like the idea of having a Klingon figurine that looks like one of the old school Klingons, before Roddenberry could afford enormous rubber prostheses. 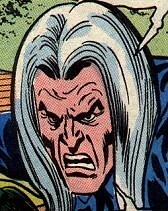 Back then, you could only tell a Klingon by his sneer. laser guns. n00b. you, sir, are not a geek. Can i get 14 Mr. Spocks please? And the Science Fiction Museum and Hall of Fame in Seattle has this actual control panel from the Enterprise (Destruct Sequence Engaged). 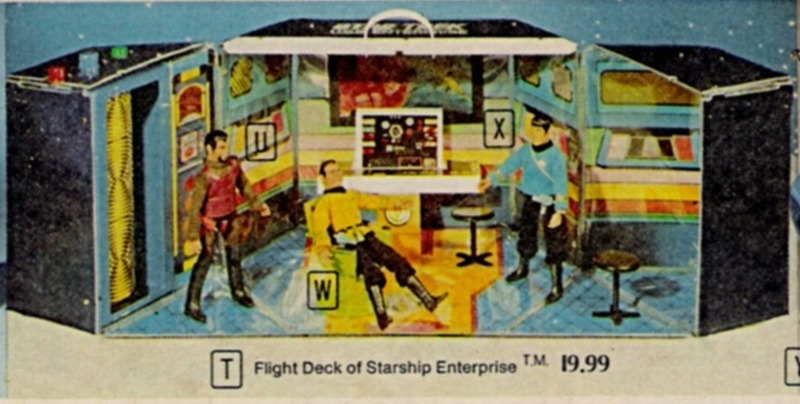 I had a Kirk figure, bought with saved-up pocket money at a corner store, and dreamed of being able to afford the transporter one day. This, mind you, when my family did not own a TV set but I got to walk up the garden a couple of times a week to watch Doctor Who and the like at my grandmother’s place. I had probably seen Star Trek once, but it was so much part of the 70s zeitgeist that I knew quite a lot about it. I think I picked up Star Trek magazines and hardback annuals for pennies at local rummage sales, so those were probably my main source of Trek information. And even in that information-light state, I knew the difference between a laser and a phaser. Reverend, you may end up de-frocked. Mmmm. Set to ‘stun’ or ‘deep-fry’? Quite the dilemma. I am an original fan of the original series—five years old when it debuted, and my mom and I watched it faithfully every week. In the “lean years” before the subsequent movies and new TV shows, I reaad and re-read all the James Blish episode adaptations. Never was a big fan of the toys as a kid, but I absolutely remember wanting this one. Jim, I wonder if you’re a “Futurama” fan, and have seen its “Star Trek” episode?